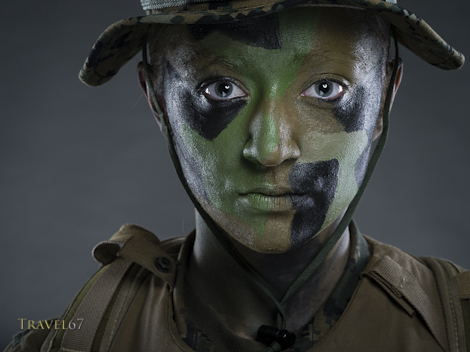 Corporal Bermudez United States Marine Corps. It would have been much better timing if I’d posted these images a couple of days ago. 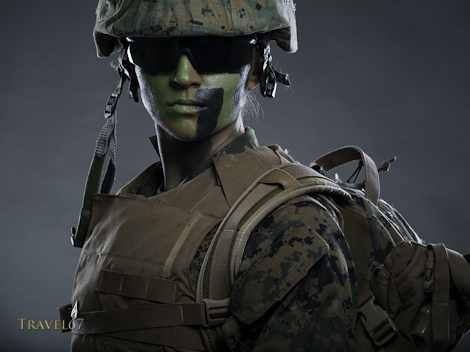 The US government had just announced changes to military regulations that would allow women to serve in frontline combat positions. (It has been pointed out that many have already been doing this for years.) 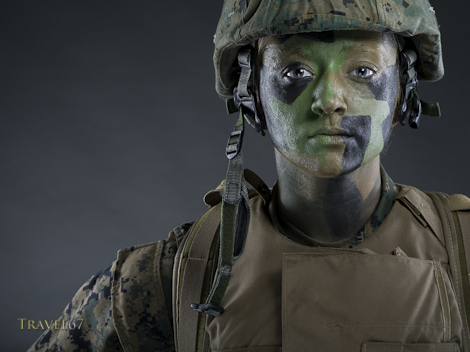 These portraits are of Corporal Bermudez of the United States Marine Corps. 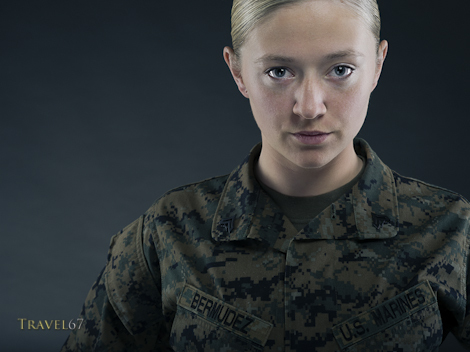 It should be noted that while there have been numerous photographs of fictional fishermen, lumberjacks and brawlers, Corporal Bermudez is a very real Marine.